I'm mostly a mac user but for some programs i have to use windows. I have a separate windows machine at my desk. I have an external monitor for my macbook pro and I mainly use it in clam-shell mode, with a wired mac keyboard. I wanted to use my win 10 pc as a server so i hooked up my mac keyboard and managed to install part of apples boot camp app so i have my volume, and other media keys working as if installed windows on a mac. Now, the problem is that when i use synergy and my mac is a client my keyboards function keys don't work when im over at os x. Does anybody have a similar problem or a solution for this? Hi, I've just installed fabulous Synergy, and I'm in the same situation (running Win-PC as Synergy server for Mac). 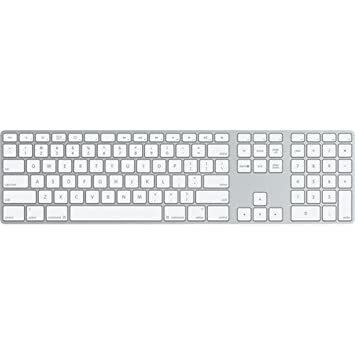 Here's a web page at Microsoft support that seems to be useful: "PC keyboard on a Macintosh". I have a mac wired keyboard. The problem is that my function keys (mission control, play, skip, volume up ect.) don't work on the client mac.